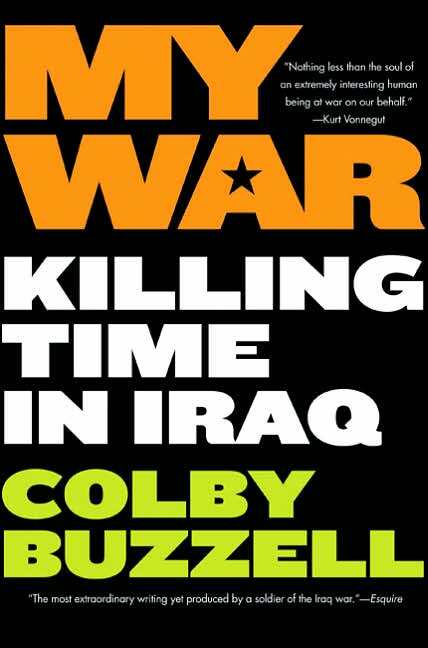 Meet Colby Buzzell: blogger, author and soldier. He fought the war in Iraq, told a story of pain and bullets and blood. He’s also one of the nominated authors in this years Blooker prize, out on May 14th. In theory, Buzzell could have kept a diary, gone home and turned it into a book. In practice, he wouldn’t have had the self-confidence. His blog gave him strength because it attracted praise from hundreds of readers in the eight weeks before the authorities stopped him posting from a cyber cafe at the US base in Mosul. Their encouragement made him realise he could make it as an author. And make it he did. Shortly before his death Kurt Vonnegut sent him a fan letter. That’s not something anyone can boast about. This was (literally!) a once in a lifetime thing, made only possible with the advent of blogging. Be proud of Colby. He’s shown us that despite all all the books being churned out every 30 seconds in this world it’s still possible to succeed. Blogging is empowering – who knows how good you are until you actually try?